A child’s baby teeth are at risk for decay around the age of 6 months, which is when they typically first begin to appear. “Baby Bottle Tooth Decay”, which is what that decay is called, most often occurs in the upper front teeth, but can affect other teeth as well. Tooth decay is preventable, however, and healthy dental habits start when your baby is born. Cleaning your baby’s gums with gauze or a washcloth should start the first few days after birth. 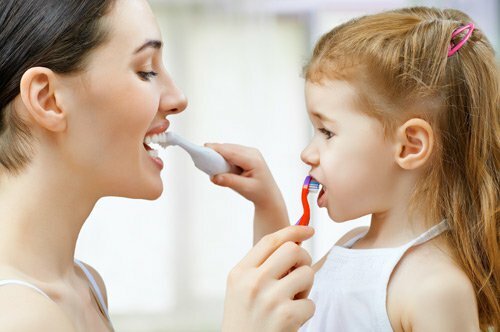 When teeth first erupt, parents should begin to brush teeth thoroughly twice a day. Show them how it’s done by brushing with them, use tooth brushing time to tell a story, consider investing in an electric toothbrush, use chewable plaque disclosing products to highlight plaque they may be missing, etc. For more information on these tips, and other ideas for building healthy dental habits, read the full article on everydayhealth.com.